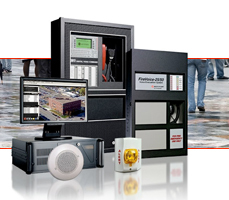 To stand out from our competitors, we install processor enhanced detectors as standard. Each detector has its own onboard microprocessor to ensure the optimum detector sensitivity is maintained without giving rise to false alarms. This gives intelligent detection whether the control system is addressable or not. Early warning high sensitivity laser systems are ideal for critical applications where even a trace of undetected smoke is unacceptable or where high air flows can make traditional smoke sensors inadequate. 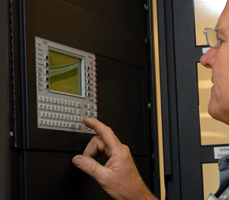 Our fire alarm systems are installed to the latest British Standards using only quality equipment you can rely on. Addressable systems are available which not only indicate the general area of a fault or fire but also give pinpoint location at the control panel such as "Bedroom 6 1st Floor FIRE". This vastly reduces search times in the event of a fault or fire situation. Pre alarm warnings can also be indicated giving time to investigate before a full alarm is reached. When hostile environments make traditional smoke sensors impractical, HARSH is the answer. HARSH works in environments where traditional smoke detection would be unsuitable and can eliminate nuisance alarms but still providing effective smoke detection. So there's no need to compromise on detection in critical areas just because they are dirty or wet.